The Eighties and Nineties of the 19th century have produced an impressive number of first rate Spanish coloratura-sopranos: Maria Galvany, Maria Barrientos, the more lyric Lucrezia Bori, Elvira de Hidalgo and Mercedes Capsir and Graziella (Graciela) Pareto born in Barcelona on May 15th 1889. Her mother encouraged her daughter`s obvious talent from a very early age on and arranged singing lessons for her in their hometown. At the age of fifteen Pareto moved to Milan where she studied with Melchiorre Vidal, also teacher of Francisco Vinas, Rosina Storchio, Elvira de Hidalgo and Lucrezia Bori. As early as 1906 she her unofficial debut was as Micaela in “Carmen” at the Teatro Liceo in Barcelona but her real break-through can be dated with 1908 at the Teatro Real in Madrid as Amina in “La Sonnambula” and little later as Gilda and Lucia. For the following year she again chose Amina for her Italian debut at the Teatro Regio di Parma and appeared for the first time as Ophelia together with Titta Ruffo in “Hamlet” at the Opera House of Rome in 1909. In the same year she repeated Ophelia at the Teatro San Carlo before she went to South America where she was engaged at the Teatro Colón. During the seasons of 1909 and 1910 she was celebrated as Ophelia, Gilda, Adina in “L`Elisir d`amore” and Rosina in a company which included the names of Bonci, Anselmi, Ruffo, De Luca and Didur. In St. Petersburg she was heard in “Fra Diavolo” and “Martha” and 1912 at the Teatro Regio in Turin she was Gilda, Lakmé, the Queen in “Gli Ugonotti” and Juliette. Her debut at the Scala of Milan in 1914 as Gilda (with Galeffi and Lázaro) was a highly successful one as was her first “Traviata” in Madrid with Stracciari. At the Opera House of Monte Carlo in the years between 1915 and 1921 Pareto became a great favourite in “I Pagliacci” and “Lucia” with Caruso, in “Rigoletto” and “La Traviata” with Battistini, in “Il Barbiere di Siviglia” (with McCormack, Badini and Vanni-Marcoux) and, again, “Rigoletto” with Smirnov. Pareto`s performances in “Don Pasquale” and “La Traviata” at Covent Garden in 1920, her debuting role in the same year was Leila in “Les Pêcheurs de perles” conducted by Sir Thomas Beecham, was received with mixed feelings. Beecham himself calls her voice one of “exquisite beauty and flawless purity” and recalls her “Traviata” as “easily the most attractive and satisfying in my recollection”. There was unanimous praise for her Violetta. Most critics were full of enthusiasm about her youthful freshness and the bewitching sweetness of her voice but had some reservations concerning the voice`s relatively small size and light weight which, except for the top notes, was too easily covered by the orchestra. 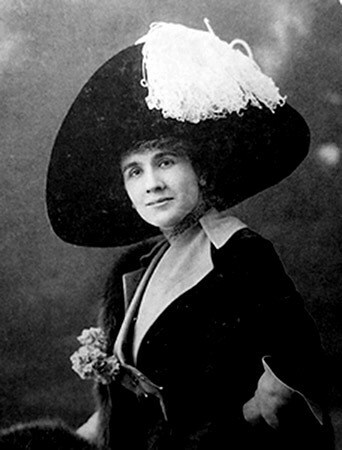 From the mid-Twenties on Pareto’s performances became less and less and her second marriage in 1926 might have been the cause for her early retirement while still at the top. During the summer of 1931 she did return, however, for some performances as Carolina in “Il Matrimonio segreto” at the Festival in Salzburg and later lived happily with her second husband in Rome. Graziella Pareto died on September 1st 1973 in Naples.